Once mixed with tap water, Conquer will last about 2 days before it begins to separate and degrade. Almost all pesticides will do this once mixed with tap water. The chemicals and minerals in tap water basically destroy the pesticide in a matter of days. 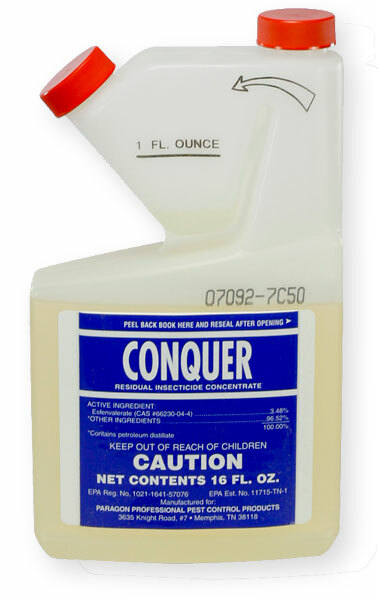 The bottle of concentrated Conquer should last 2-3 years if left in a garage or temperature controlled environment. Products that are sold "Ready to Use", and already diluted are mixed with purified water or what is commonly called Deionized Water. This water is ultrapure and contains no chemicals or minerals, so the product will last much longer. Bottom line, anything you mix with tap water will have a limited life.